Please call 212.346.0664 or click OpenTable. Reservations for the $150 and $200 Kaiseki dinner require a credit card number for a security deposit. For kaiseki dinners for 6 guests or more, we request at least 1 day advance reservation. A fee will be charged if this is cancelled within 24 hours of the reservation. Please note that there will be 20% gratuity for these parties. To cancel the $150 course, please call by 9pm the day before the reservation. To cancel the $200 course, please call at least 48 hours before the reserved time. Otherwise we regret that a cancellation fee of $50 (for $150 dinner) and $70 for ($200 dinner) per guest will be charged. Children are welcome from the age of 10 and up. 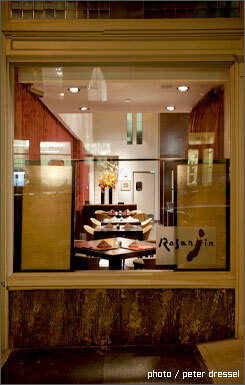 For more information please contact us at 212.346.0664 or send an email to contact@rosanjintribeca.com.